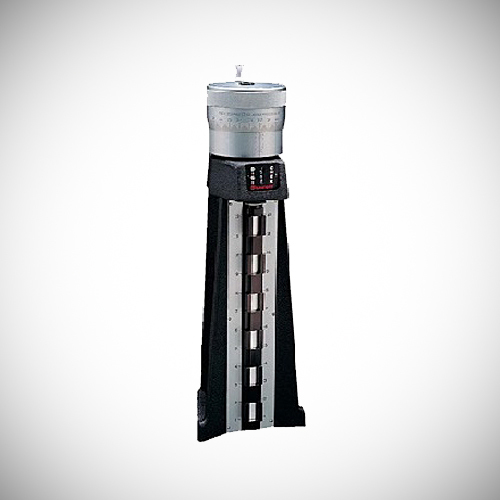 Height gages are devices used to measure the distance from a reference surface. These devices are exceptionally accurate and they can measure surface plates and even intricate features of a part. There are several types of height gages and they include electronic height gages, dial height gages, vernier height gages and more. These devices play a very important role to ensure quality control. Many industrial applications have been relying on height gages to take accurate measurements of the height of a workpiece. There are a variety of height gage brands, but we will focus more on Starrett. Starret is one of the most popular brands among parts manufacturers and the company is known for producing high quality precision measuring tools for metrology. This post will explain more about the Starrett 258 Series Digi-Chek II height gage to help you choose the right tool for your height measurement needs. L. S. Starrett Company is a leading manufacturer of gages, precision tools, saw blades and measuring instruments for consumer, professional and industrial markets. The company was founded in 1880 by Laroy S. Starrett who was the first man to invent a line of precision tools that continue to set very high standards. For more than 130 years, the Starrett Company has grown to become one of the world’s greatest toolmakers. Starrett tools are applied in various industrial applications that require products to be assembled, formed, cut or measured. The industries that mostly rely on these tools include energy, aerospace, electronics and many others. Starrett tools, especially the height gages, are sold through distributors, retailers, dealers and online throughout the world and the company makes well over $250 million annually. The figures themselves prove that this company has a good reputation and is popular for manufacturing quality precision measuring tools. Get Starrett 258 Series Digi-Chek II Height Gages from Willrich Precision! At Willrich Precision, we offer a wide range of height gages, including Starrett 258 Series Digi-Chek II Height Gages. We have more than four decades of experience in the field inspection, metrology and gaging which makes us a trusted distributor of quality measurement tools. Our products are not only affordable but they also provide durable solutions. We have made shopping online easy for our clients. Our staff is always available to guide you through the process of online purchasing from start to finish. You don’t need to worry about your online security as we have installed state-of-the-art encryption technology to ensure that all our clients’ personal data remains safe. If you are not sure about a product, our knowledgeable staff will answer any questions you have via our live chat feature to help you make an informed choice. Want to know more about Starrett 258 Series Digi-Chek II Height Gages? Talk to a Willrich Precision specialist today!